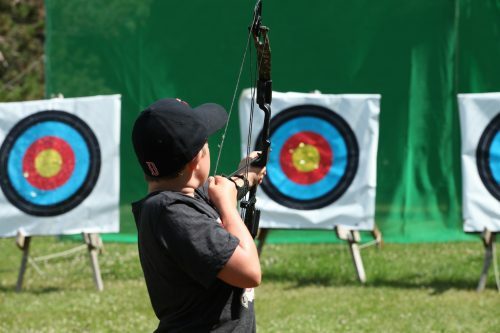 One of the reasons we come to camp is to try things that we cannot do at home, and most of us do not have a climbing wall or target ranges in our backyards! 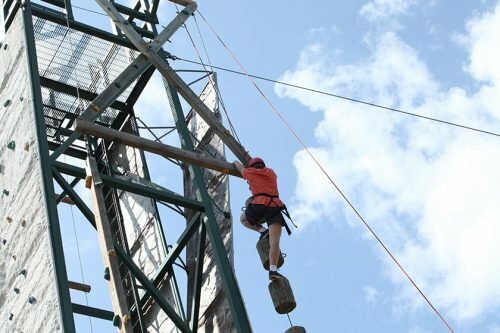 Camp Menominee has a Climbing Wall, Zip Line, Archery and Rifelry Ranges for all of our campers to challenge. Climbing Wall – Our climbing wall is unlike any in the Northwoods. With 2 sides of rock wall each varying in difficulty and 2 sides of jungle gym/challenge course, there are tons of opportunities to conquer our fears and scale the wall. 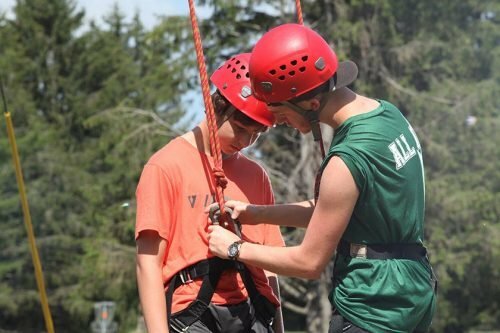 Our course is inspected and certified by Experiential Systems Inc. each year, and our climbing wall staff are experienced and re-certified each and every summer. If that isn’t enough…we have a 400 ft zip line that campers of all ages can enjoy. 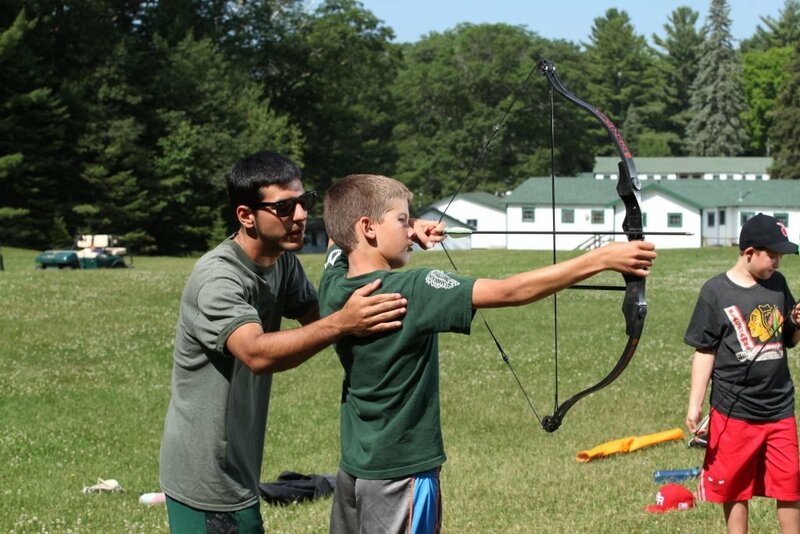 Target Sports – Camp Menominee has an Archery range and Rifelry range for our boys. Whether you are a beginner who has never shot, or compete in the off-season, our staff can work with boys at all levels to challenge them and teach them new things. 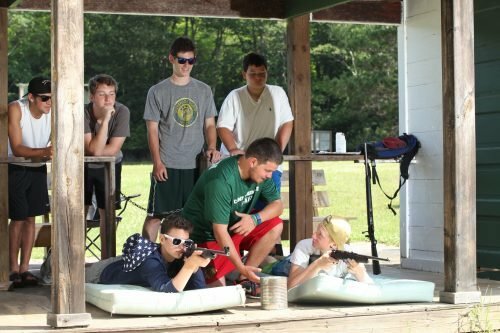 Our Archery instructors get certified each summer, and our Riflery instructors often come from military backgrounds. “When I came to camp for the first time at 9 years old, all I wanted to do was play sports. I loved basketball and tennis and football and made it very clear to my parents (as eloquently as any 9 year old could) that those were the activities that I was going to sign up for. Part of the reason I chose Menominee was the freedom of choice of your own activities. Then I got to camp and one of the first counselors I met was a man named Marc Smith. He was a large and imposing guy who looked like a college football offensive lineman. I was drawn to him because of his enthusiasm, warmth and the simple fact that I had never seen someone with that physical stature up close. I found out that he was one of the Archery instructors, so I signed up for Archery just to hang out with Marc. On the first day of activities I strutted into archery excited to get to know Marc, but not so enthused about 50 minutes at the archery range. I remember distinctly telling Marc, “Hey, I just want to hang out here. You don’t have to teach me at all. Worry about the other kids. Well it turns out he did teach me Archery and I got pretty good at it. I still have that skill today because of him.